A pre-race sample was taken from Spring Bobbi. In The Net was slow to begin. Spring Kitty, Amlin's Magic and Zenstar collided soon after the start. Blazing Nitro and Lady La Deeda collided on the first turn. Spring Bobbi, In The Net and Octo Burn collided on the first turn. Spring Bobbi, Spring Kitty and Amlin's Magic collided on the home turn. Octo Burn, In The Net and Lady La Deeda collided in the home straight. In The Net was vetted following the event. It was reported that the greyhound sustained an injury to the right gracilis (back) muscle. A 21-day stand down period was imposed. Satisfactory Trial Results - Nangar Tiger trialled over the 400m from box two, weight 33.1kg, however the greyhound pulled up and failed to finish the trial. The greyhound was subsequently vetted following the trial. It was reported that the greyhound sustained a tarsal fracture of the right hock, and was humanely euthanased. 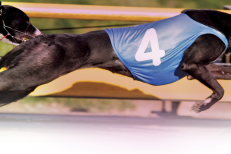 Satisfactory Trial Results - Dyna Vagrant trialled over the 400m from box four, weight 28.4kg, the greyhound was placed first in a field of four. The time of the trial was 22.66, the greyhound won by a margin of a head. Dyna Vagrant was cleared. 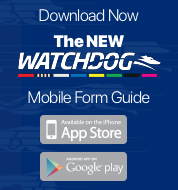 Satisfactory Trial Results - To The Galo's trialled over the 400m from box eight, weight 32.6kg, the greyhound was placed second in a field of four. The time of the trial was 22.66, the greyhound was beaten by a margin of a head. To The Galo's was cleared.